Academia Sánchez-Casal in Barcelona, Spain is renowned as the training ground for such stellar touring pros as Andy Murray, Svetlana Kuznetsova, Anna Ivanovic, Janko Tipsarevic, and others. 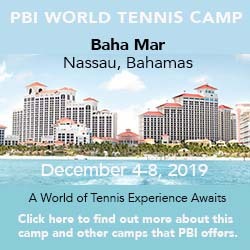 It has now once again established a training facility in the U.S., after purchasing the former Naples Bath & Tennis Club in Naples, Florida. The academy had been here before, in 2007-2010, but as a tenant rather than an owner. Now former Top 10 singles player and No. 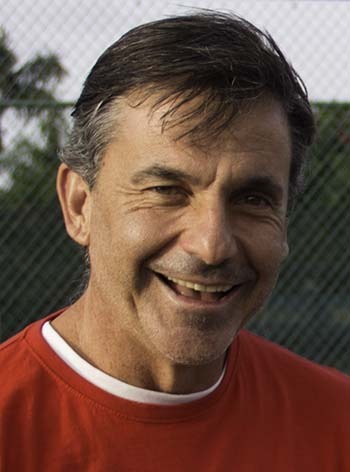 1 doubles player Emilio Sánchez himself has taken up full-time residence in Naples to manage the program. Most of the focus is on junior development—and Sánchez himself takes the courts to personally contribute his expertise. There are some 20 enrolled junior full-time (some living at the academy, others locally), a situation made possible by the addition of a school on site. In addition there are afterschool programs (also available to the children of guests there for short stays) and summer and holiday junior camps. Adults do, however, also have their own program under Daniel Sorribas, an Argentinian who had previously run the programs for high-performance coaches and for adults at the Academia in Barcelona. So far, according to Sánchez, the numbers have been small: 4 to 6 a week, he told me, while also characterizing them as "very high standard", meaning highly committed players and tournament competitors. A quick glance at the curriculum suggests why: many of the options include not only the usual on-court drills but off-court fitness training as well. Student:pro ratios are kept low: never more than 4:1 and often less. Tennis Staff. Under Sorribas, this program, like its parent in Barcelona, makes fitness an integral part of the daily program, not only for juniors but for adults as well. Adults can choose from 2-day and 5-day menus with anywhere from 2 to 4 hours of on-court instruction and drills daily, variously supplemented by physical training, stretching, Pilates, and massages in sessions with no more than 4 students per instructor (and often less). Discounted lodging is available at the Academy, though for now the restaurant serves only lunch for adults so campers will need to go elsewhere for breakfast and dinner or make it themselves in their condo. Courts & Fees. There are 37 clay courts (13 with lights) and 1 hard court. Court fees: None. Spa & Fitness Center. The 3,000-square-foot fitness center has cardiovascular and weight-training equipment as well as free weights. Windows along one side face an outside deck that overlooks the swimming pool, while windows on the opposite side look out toward a lake. Personal trainers are available as are classes in Pilates and aerobics. Stairs from the fitness center lead down to locker rooms with sauna and steam and to a suite of massage rooms. There are a small number of condominiums for rent at the property and the Academy has deals with select local hotels. At the moment the dining option in limited to a buffet lunch served in the former Banyan Grill. Adult campers are on their own for breakfast and dinner. Seasons. Year-round though summers are hot in this part of Florida. Travel Instructions. By Air: The nearest airport is Southwest Florida International Airport in Ft. Myers, 35 miles to the north. By Car: From I-75 North or Alligator Alley take Exit 16. Proceed west on Pine Ridge Road for approximately 2 miles to Airport Pulling Road and turn left to head south to the first traffic light. Go through the light and NBTC is on the right about ¼ mile along.